In our surf school in Le Pin Sec we want to share with you our passion for surfing and show you too the fun and joy of the sport. We want you to feel the same exhilaration that we do when we surf. For us, if you leave your surf lessons happy and wanting to surf more, then we have succeeded in showing you the reason that we surf. In our surf school in Le Pin Sec the key focus of the surf lesson programme is gaining practical experience in the water. However, we’ll also educate you in the basic theory of surfing so that you are safer and more aware as a surfer. In our surf school in Le Pin Sec, we teach you the correct surfing technique from your first lesson. We teach the three-step take off at our surf school, rather than the method that involves kneeling first. Although the three-step method may be more difficult to begin with, it’ll allow you to progress your surfing in the future, rather than be hindered by the method that uses your knees. We teach you the correct surfing technique from the start to enable you to progress quickly. From our many years of experience, both as surfers and instructors, it is evident to us that students have more success, and more enjoyment too, if they learn the correct technique from the off! Whilst it would be easy for us to teach you the method of using your knees just to get you up and standing, we don’t because you come to us to learn to surf! Your surf progress after you’d left us would be greatly hindered if we taught you bad habits in the beginning. We want to instil in you a passion for the sport, and hope that you continue to progress your surfing after you’ve finished your holiday with us. Thus, we teach you the right technique to allow you to improve your surfing. Our surf lesson programmes in Le Pin Sec contain theory lessons too. 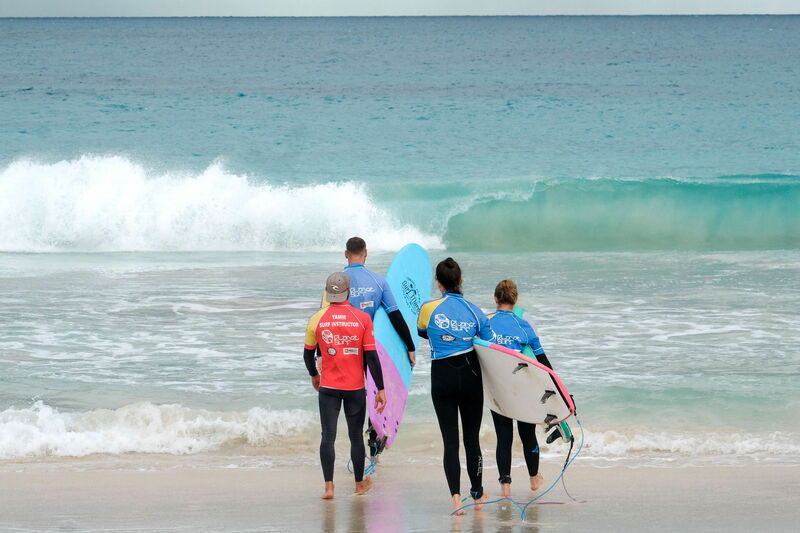 During the theory lessons you’ll learn about surf etiquette, the rules of the water, how waves are created, and how to read the surf conditions and forecast. Of course, this will be delivered in an interesting and informative way, and our instructors will happily answer any further questions that you may have. We choose the surf instructors of our surf school with great care. 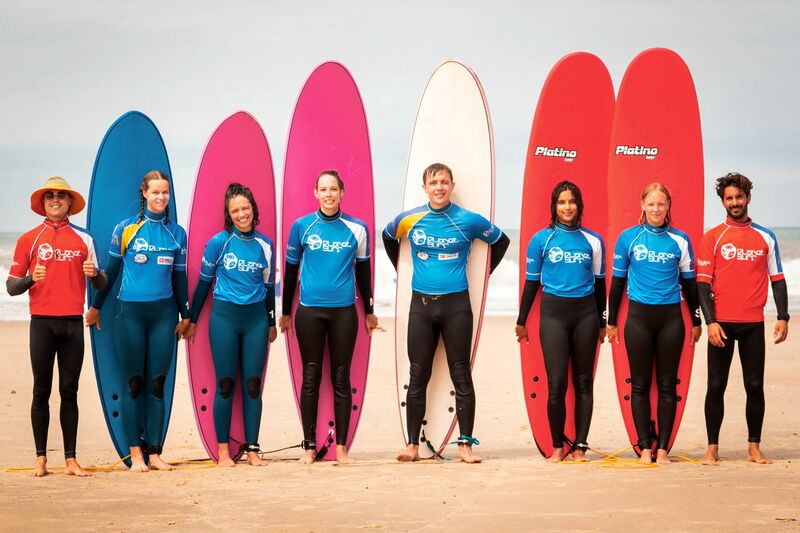 Not only are they highly experienced surfers themselves, but they are all qualified with an official licence to teach (FES, DWV, ISA, BSA, or FCS). Furthermore, all our instructors are trained lifeguards as your safety is our top priority. Our instructors will ensure that you not only have fun in the lesson, and are taught well, but also that you feel safe and comfortable in the water. You are in very capable hands with our Planet Surf Camps’ surf school in Le Pin Sec.